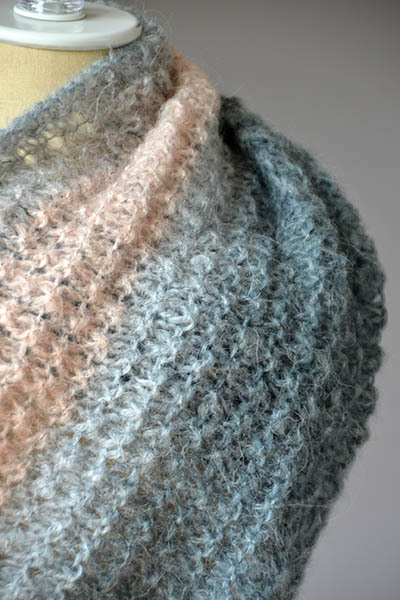 From our friends at Universal Yarn, here's a long textured cowl knitting project. It uses one skein of self striping Revolutions yarn. It's knitted in the round with an easy to remember stitch pattern. Wear this cowl long and loose or doubled up around your neck for warmth.